There is an old saying, Eat carrots and you will always have good eyesight. Weak eye sight increases problem as age increases. Many people suffer from this in the early age. We can resolve these eye sight problems by including healthy food in our daily diet. 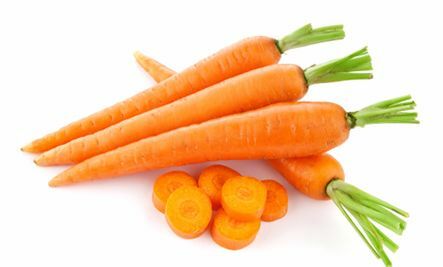 Vitamin A is very important for our eyesight and carrots are rich in it. Carrots are rich in vitamin A, it is good for improving eyesight and preventing conditions like night blindness from developing as we age. Carrot is one healthy vegetable which is rich in vitamins and the most good for the eyes as well as health. Varieties of dishes can be prepared through carrot ,this is one of the vegetables to eat in fresh way without cooking. Carrot contains full healthy benefits for eyes which are also liked by all kinds of age groups. Carrot juice helps increase the eye power and also provides healthy glowing skin. Carrot is enriched with beta carotene which is very help full in preventing night blindness. Carrot also helps in maintaining cornea healthy. Carrot also contains lutien which is also a good safeguard for eyes. Carrot are also good enriched with fiber and potassium. Health Benefits of Carrots – Protects the Skin: Vitamin A and antioxidants protect the skin from sun damage. Deficiencies of Vitamin A cause dryness to the skin, hair and nails. Vitamin A prevents premature wrinkling, acne, dry skin, pigmentation, blemishes, and uneven skin tone. Its oil is good for dry skin because it makes the skin softer, smoother and firmer. Furthermore, carrot juice improves stomach and gastrointestinal strength.